Who would borrow 200 lats to repay one thousand or even three after one year? Latvians, however, are making this unbelievable choice ever more often. While many have yet to recover from the crisis, the quick credit business is fully enjoying the economic “pick-up” and earns millions. Usury or predatory lending is punishable with imprisonment, but Latvia, unlike Estonia and Lithuania, has never limited the business’ fantastic interest rates. At least until now–but the situation has already reached its limit. On a freezing cold January afternoon in her one-room rented apartment in one of Riga’s large apartment buildings, Lidija (55) does what she has long lacked the courage to do. On sheets of paper glued together, she tries to calculate how much she has borrowed from quick credit firms over the last few years. From time to time Lidija glances at the black notebook, where she has written down the account passwords for the websites of the different quick credit firms. There are many of them. At the top of the list is 4Finance (brands SMScredit un Vivus.lv), followed by Soho Credit, VIA SMS, CreditOn and Open Credit. Since 2009 the quick credit business has been one of the fastest growing in Latvia. In 2011 the industry’s revenue reached 20 million lats (28.6 million euros)– twice that of the year before. These are Re:Baltica calculations using Lursoft data. Unlike banks, which must report every month to the bank supervisor, quick credit firms are not under such strict control. A few weeks ago, when the Economics Minister Daniels Pavluts announced that non-bank lenders would be controlled more strictly, even he did not have official data. The Minister is worried about this. The quick credit companies are also concerned. One week ago they hastily united to form an association to more effectively defend their positions. The lenders say everything is fine in the industry. According to them, it’s normal that an eighteen year old drinking in a bar with friends can get a loan by SMS in fifteen minutes. If giving making loans at night were banned, where would pensioners get money for medicine in emergency situations? Lidija’s situation shows, however, that something is not right with this industry. For no one should have lent her money. “I don’t want to know”, she says nervously, when I have counted all her loans. Since 2009 she Lidija has borrowed 700 lats (1000 euros) and paid almost 3000 lats (4300 euros) in commissions and extension fees. If Lidija decided to settle all her quick credit loans, she would have to pay six firms a total of 2,130 lats (3042 euros). Lidija doesn’t have this money. As before, the only option is to extend the loans and continue trying to pay them off over time. That requires 250 lats (357 euros) a month. Her wage is 400 lats (570 euros) a month. After the monthly loan payment, there is only 150 lats (214 euros) left over, which then disappear, paying for the rent and utilities. There is nothing left for food and other living expenses. That means she will have to borrow more and more. “What can I do?” asks Lidija and cries. Without a sound. Lidija doesn’t want me to use her real name. She feels ashamed. Friends and relatives don’t know about her situation, since she suffers in silence. She is exhausted after the tiring night shift, her thin hair is done in a bun. In the bathroom there is a huge bottle of lotion to prevent hair loss; she started losing her hair shortly before Christmas. “You must avoid stress”, the doctor told her. “How am I to do that?” Lidija responded. For years, a lack of money and stress have been her steady companions. She is not practical. She raised by herself two children, whom she frequently out of blind maternal love looks after and helps financially. Five years ago Lydia moved from a small town to Riga, and got a job in manufacturing. To pay the heating bill in the winter of 2009, she took out a loan of 100 lats (143 euros) for the first time from SMScredit. Her daughter, who has a high school education, lost her job at the bar she was working at a year later. She needed help. Her son, with only an elementary school education and never having had a steady job, also needed help. Lydia has borrowed from two other quick loan companies. The total debt grew at a cosmic speed. It turned out that her unemployed son had also borrowed from SMScredit, and the amount had risen to 700 lats (1000 euros). Lydia tried to partly repay his loans also and borrowed from two more companies – a typical mistake of most quick loan borrowers. The golden rule: never borrow from one to repay another. Lidija doesn’t know how much interest she pays these firms for their loans. She looks at the websites to see how much it costs every month to extend them. To understand the real cost of the loans, she should know the annual interest rate. Firms are obligated to show the rate in the contract, but the rates are not stated publicly on the websites. Re:Baltica called the 35 largest quick loan companies, asking to borrow 200 lats. The annual interest rates ranged generally from 150 to 800%. The record belongs to Ātrais kredīts (“Quick Credit”), charging 1552% a year. Borrowing 200 lats, one would pay 3,100 lats in interest after one year. Quick credit firms argue that it is wrong to compound their interest rates over a year because they lend for shorter periods. However, Latvian experts believe that the annual rate more accurately shows the cost of the loan. In Finland, the birthplace of SMS loans, the compound annual rates must be clearly shown in advertisements. Last summer Lidija came up with the idea of taking out one big loan from one firm to repay five quick loan companies, consolidating her debts in one loan. The plan fell through because the firm, DSA Invest (with the brand “Sun Credit”), from whom she asked 1000 lats (1400 euros), lent only 450 lats (640 euros). Thus she got stuck with another loan, on which she must pay 62 lats (89 euros) a month. During our meeting, DSA Invest called her to remind her that she had missed the January payment. “Stupid! How could I forget,” she rebukes herself. She tries to repay all the loans in order not “to damage her credit history.” But increasingly she feels like giving up. “I am fed up.“ Lidija is afraid that, in the worst case, her only property will be taken from her– the country house from her mother who passed away a year ago. Her son has already given up and doesn’t plan to repay his debts. He has no property to lose. How many there are like Lidija and her son in Latvia is not known. The quick credit firms say that 8-15% of clients do not pay on time. According to these firms, mainly people borrow up to 100 lats (140 euros) for 30 days. Neither is it possible to know how many people in Latvia have taken out such quick loans. The Economics Minister cites the research of nozare.lv, according to which 22%, or almost half a million residents of Latvia, have taken out quick loans. Meanwhile half of borrowers have had problems repaying their loans, according to research of Gudriem.lv. The representative of Latvia’s largest quick credit company, 4Finance, Toms Jurjevs, thinks that this 22% figure is an exaggeration and that there are no more than 100,000 quick loan borrowers in the country. He doesn’t disclose how many clients his firm has. 4Finance combines two brands- SMScredit and Vivus- with 65% of the market. This is the calculation of Diana Neimane in her master’s thesis of January of this year at the Latvian BA School of Business and Finance. 4Finance dominates the market, since the closest competitor, VIA SMS, controls only 8% of the market. The official data on the quick credit business for 2012 will be available only this year in March, when all the licensed non-bank lenders will have submitted to the Latvian Consumer Rights’ Protection Centre (abbreviated to “PTAC” in Latvian) information about their client numbers and loans outstanding. Government regulations require this. The PTAC asked the firms to voluntarily provide information before February, but some of the firms, including 4Finance, ignored the request. This attitude provoked anger at the Economics Ministry and- behind the scenes- among the commercial banks. The quick credit business boomed in Latvia indirectly thanks to the commercial banks. When the unemployment rate exceeded 20% in 2009, some people took out quick credits to make their mortgage payments to the commercial banks. Others took out quick credits to pay for daily consumption and utilities, for which the banks no longer provided consumer loans. Lidija also decided in favour of a quick loan because it was easy to obtain by sending a mobile message. In contrast to commercial banks, quick credit firms do not check if a person has the money to repay a loan. That is the main problem. The law requires firms to check clients’ ability to repay if the loan is over one hundred lats (143 euros). But in practice this is not possible, as, unlike the banks, the quick credit firms cannot see how much a prospective client earns, from which firms he has borrowed and whether he is on a list of borrowers. In order to formally comply with the law, the borrower himself states how much he earns. Regulators believe that trusting the quick credit firms is not sufficient. Andis Priedītis, who represents the regulator PTAC, thinks firms must check not only the debts of a borrower but also the income. A recent high school graduate is unlikely to have debts, so it is important to know whether he will have to money to repay the loan. Before the quick credit boom, Lidija regularly borrowed from friends and relatives to pay her daily bills. She always paid back the loans. Sometimes a month late, but she paid back. Since 2009 she has borrowed from relatives to make her quick credit payments. Her relatives and friends are in dark about this. The American think tank The Pew Center, has researched the quick loan industry in the United States and concluded that easy availability is the reason for the popularity of quick loans, or pay-day loans as they are called there. In those states where small loans are not easily available, only 5 of 100 would-be borrowers would borrow from the internet or elsewhere. The remaining 95 would pursue other options; most would reduce their expenses, delay paying monthly bills, borrow from friends or sell possessions. Their research also shows that 70% of quick credit borrowers use the money for daily consumption- not for special situations, as the quick credit firms often claim. “Quick credits start to accustom people to irresponsible borrowing” believes Teodors Tverijons, of the Association of Latvian Commercial Banks. This irresponsible borrowing is achieved through massive advertising and marketing campaigns. Advertisements in the media, internet and on tram sidings invite people to take out a loan and as a bonus receive a pizza, tickets to the cinema and concerts. Ten lats roll into your account if your friend takes out a loan, goes the usual marketing trick. 4Finance forms its corporate image by sponsoring charity and sport events and by supporting innovative business ideas. In 2010 it spent 1.2 million lats (1.7 million euros) or 14% of its 8.6 million lat (12.3 million euro) revenues, but in 2012 1.8 million lats (2.6 million euros) or 8% of its rapidly growing 21.3 million lat (30.4 million euro) revenues. The company is now active in Latvia, Lithuania, Sweden and Finland. The annual financial statements do not show how the advertising money is distributed by country. 4Finance donated 234 thousand lats (334 thousand euros) to charity in 2011, for which it received almost 200 thousand lats (285 thousand euros) in a tax deduction. This year on Valentine’s Day, 4Finance will arrange a concert for their clients with Laura Reiniks, Raimond Pauls, Intars Busulis and other celebrities. Organizers plan that about 10 000 people will come. To get a ticket, one must first borrow 150 lats (214 euros) from SMScredit. “Is that ethical?” I ask Jurjevs. “How to look at it?” he considers, “people who do not like our industry, may have that view.” He compares the concert to the Swedbank “smart point” program, where one can receive gifts for paying with the bank’s card. There is an essential difference, however; Swedbank does not encourage clients to borrow money. The singer Intars Busulis says he didn’t know about the rules for getting a ticket. “I was asked to play together with Raimonds Pauls, and why not do that,” he says in a telephone conversation. Lauris Reiniks answers similarly in an e-mail. “It wouldn’t be correct on my to reevaluate the situation now, but it would be great if everyone who wanted to could buy a ticket and come to celebrate Valentine’s day. Young, rich and happy– that is how Alberts Pole appears in a Facebook photograph on a warm summer evening at the wheel of a Mustang cabriolet. The photo was taken last September in Las Vegas. The attractive, twenty-seven year old can afford the lifestyle, since he is one of the leaders of the 4Finance holding company, founded in 2008. From two initially small firms (SMScredit and Vivus), which Pole founded with three classmates in 2008, the holding company has grown into a serious market player not only in the Baltics, but also in Scandinavia. Last year, the company expanded into the U.S., Spain and Poland. 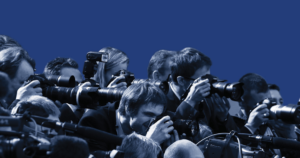 Of the four founders, Pole is the most communicative and therefore more known to the press. The other three– Kristaps Ozols, Maris Keišs and Aigars Kesenfelds–have been less visible. The four are friends since their days at the elite Riga State First Gymnasium, where they studied in the same class. Later they entered the Stockholm School of Economics in Riga (SSE Riga). Apparently, they always sat on the last bench of the auditorium and took from the lectures only what interested them. Big jokers with a touch of irony, remembers one of the four friends’ classmates, who wishes not to publicize his name. Now 4Finance is a success story that current SSE Riga students study. 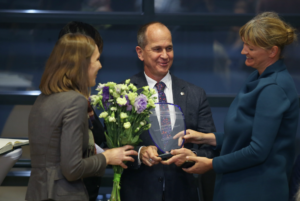 Meanwhile, the company maintains good relations with the alma mater; last year it donated fifteen thousand euros for the supply of new study books, took in students for practical training and gave presentations at lectures. The key figure of the four, however, is not the more visible Pole, but Aigars Kesenfelds, the son of the Liepaja businessman Ivars Kesenfelds. “He is four heads and shoulders superior to the others,” relates one coursemate. Diāna Pauna also nods her head in confirmation. He was one of the best in his year. He passed all of his exams the first time, even the most difficult, which many need to take twice. “Smart, bright, quick-witted,” remembers Pauna. “No signs of arrogance– kind-hearted and helpful. It seems running and playing squash balanced him.” The quiet Aigars is also the complete opposite to his father Ivars Kesenfelds, who is active in real estate, joined the business of the cosmetics firm Madara, is an active deputy in the Liepaja council and uses the portal Irliepaja.lv to express his opinions. The SSE Riga Prorector Pauna believes that 4Finance young men get purpose and excitement from the expansion of the quick credit business. Up until now, that has happened at a tremendous pace. The rapid growth has been achieved by the injection of a significant amount of money, whose origins are only partly known. Also the real owners of the holding company are not known, because they are hidden in offshore companies. The annual reports available through Lursoft show that in 2011 4Finance had two main shareholders– the Malta registered Fatcat Investments and the Cyprus offshore firm Tirona Limited. Looking through Malta’s business register, it appears that Fatcat Investments is owned by eight additional offshore companies. One of these offshore companies belongs to the Russian national hockey team’s defenceman Ilya Nikulin, who has also bought an apartment in Jurmala, a seaside town for the rich near Riga. Among the former owners of 4Finance is Prosperity Financing Limited, which paid interest of almost 82,000 lats (117,000 euros) to Riga Vice Mayor Andris Ameriks in 2011. Ameriks has told the portal Pietiek.com that this amount was interest on a loan of half a million euros. “I do not want to comment. It’s business,” a polite but curt Ivars Kesenfelds responds to a question whether he helped his son with the seed money to start the business. At the founding of the company both Kesenfelds were on the 4Finance Board, but in recent years they have not taken any positions in the company. 4Finance experienced its big breakthrough in 2010, when Trasta Commercial Bank (or TKB, a Latvian bank associated with non-resident capital) lent it 6.3 million lats (9 million euros). At about the same time the Russian billionaire Oleg Boiko joined the team as a guarantor of stability. Boiko has been connected to another business associated with human weaknesses– earlier he owned casino companies in Latvia as well as the Baltic Trust Bank. With the arrival of Boiko, the Cyprus registered offshore company Tirona Limited appears among the shareholders of 4Finance. Recently 4Finance’s own debt has significantly increased. The latest information shows that in May last year TKB had lent it 11.3 million lats (16 million euros), about the Latvian company’s turnover in 2011. Lidija is happy. After one of our regular meetings, she received a call from SMScredit, offering to draw up a repayment schedule. She would no longer have to pay extension fees. Full of hope, she wants to agree the same with the other lenders. VIA SMS answers that she must first miss the regular payment to get on the list of those in default, and then the lender would draft a repayment schedule. CreditOn doesn’t want to extend the repayment, because it was only last December that Lidija borrowed 350 lats (500 euros) from it. The firm suggests that she extend the loan multiple times, and then it would talk about a repayment schedule. Endless credit extensions with high commissions are one of the ways short-term lenders drive people into debt traps, as the U.S. Office of the Comptroller of the Currency (a branch of the U.S. Treasury) testified before Congress. The regulator stated that there is a risk of falling into a cycle of repeat credit transactions for people with low incomes, especially if there are weak legal controls. There are weak controls in Latvia. One of the reasons for the weak controls over the industry is the view that the non-bank sector is not large. Diāna Neimane of the Latvian BA School of Business and Finance disputes this view; in her M.A. thesis, she states that on average in 2012 commercial bank lending was only 2-3 times larger than non-bank credit lending. “This shows that, contrary to prevailing opinion, the non-bank credit institutions have an essential role in consumer credit lending,” concludes Neimane. 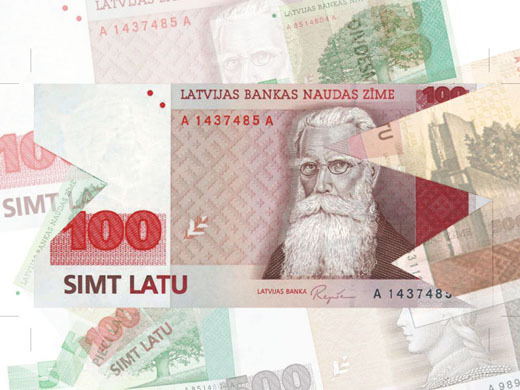 With the purpose of bringing order to the non-bank lending sector, the Latvian government has since 2011 imposed a 50,000 lat (71,400 euro) initial license fee and raised the capital requirement to 300,000 lats (429,000 euros). Neimane believes that these well-intentioned measures have worsened the situation in the industry, because they have reduced competition– from ninety quick credit companies before to twenty now. The license fee required in Latvia is fifty times larger than in Great Britain or Ireland. In neighboring Lithuania and Estonia there are no license fees, but there are maximum annual interest rates. This maximum annual rate is 200% in Lithuania and about 100% in Estonia. Finland has the most experience in the quick lending sphere, as the idea of receiving quick loans by mobile message was born there in 2005. Observing the resulting reckless borrowing, Finland banned granting quick loans at night, obligated firms to show the total annual cost of credit and is now thinking of imposing a maximum annual rate of about 50%. Financial experts consider that this maximum rate would be overly draconian and make the business unviable. It would not be right to ban the business completely, because then people without incomes would start to borrow from private individuals, and it would no longer be possible to control these arrangements. Experts surveyed by Re:Baltica consider that non-bank lenders should be controlled more strictly under the Financial and Capital Markets Commission, which now supervises banks and other institutions. In Latvia six people at the PTAC (the Consumer Rights’ Protection Centre) are responsible for regulating the non-bank lending sector, which includes the leasing companies of the banks. The PTAC mainly reacts to complaints. In the list of recommendations now before the Finance Ministry are limitations on aggressive marketing and, most importantly, checking whether loan applicants have the incomes to repay loans. “The supervision now is sufficient,” says Toms Jurjevs, the representative of the largest quick credit firm, 4Finance. According to him, with the imposition of the license fee, no more changes are necessary. Seeing the growing public outrage, however, the firm has changed its arrogant attitude. The last few weeks saw the hurried formation of a new association of quick credit firms, having over 80% of the market. The goal of the association will be to educate society “why it is necessary to take out loans,” explains Jurjevs. Outside the large glass office window, the cars driving by glow in the darkness. Jurjevs is one of the young and successful, with the world at his feet. Meanwhile Lidija in her one-room apartment is thinking of how to get out of her debt trap. In Latvia there are no organizations giving free legal help to such people. She pays as much as she can, and tries not to think of the debts. And hopes that her hair will finally start to grow back.